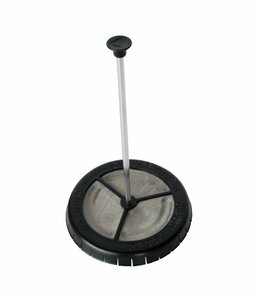 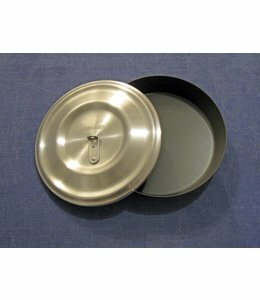 The Alpine model Fry-Bake with Standard Lid pan is durable and lightweight specially designed to withstand outdoor use and can stand up to a small fire. 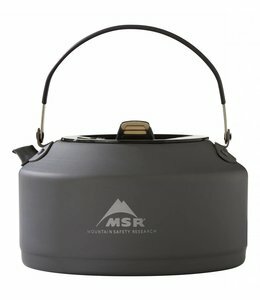 The Pika 1L Teapot is perfect for heating water for your morning cup of coffee. 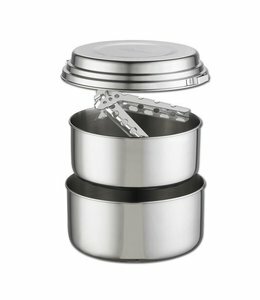 The Trail Lite Duo Cook Set has a compact nesting design so cookware for 2 takes up minimal space. 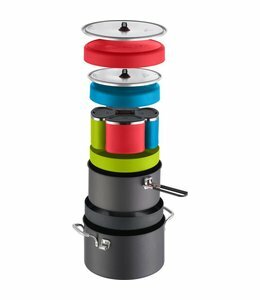 Cook for a crowd with this Flex 4 System which is a compact, comprehensive cook system. 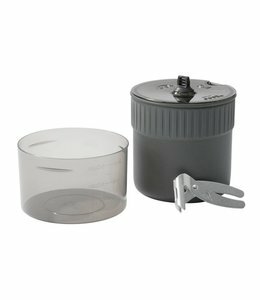 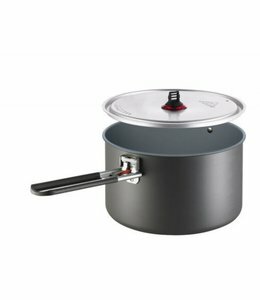 The Titan 2 Pot Set is an ultralight, compact, 2 pot system. 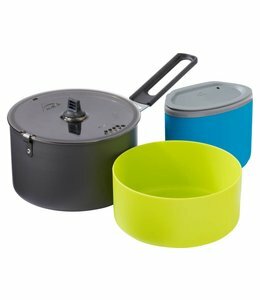 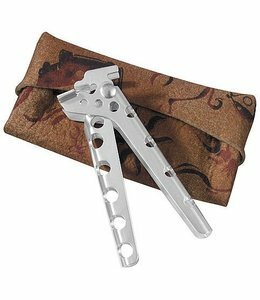 When you are eating alone on the trail but have a varied menu the Trail Lite Solo cook set fits your needs. 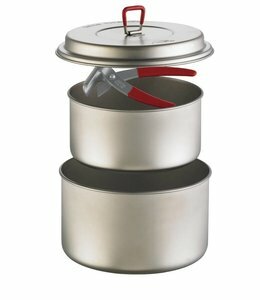 The Alpine 2 Pot Set is a stainless steel pot set for 2 people. 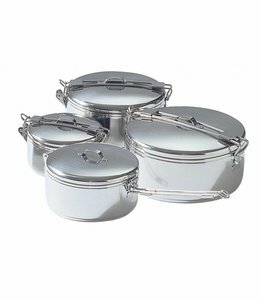 If you want to cook in the back country the way you do at home this Ceramic 2 Pot Set will help you do that. 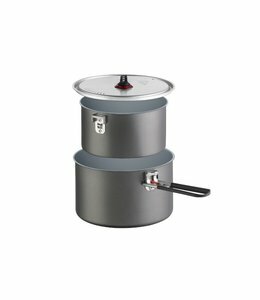 The Trail Mini Duo is an efficient, space saving cook set for two. 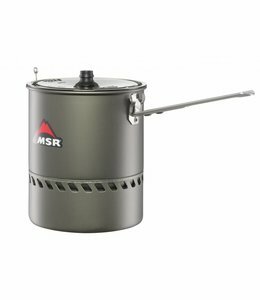 The Reactor Stove Pot is for use with Reactor stove systems. 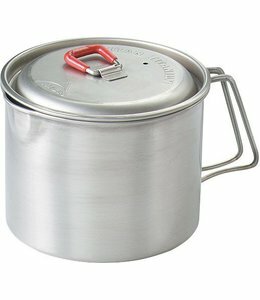 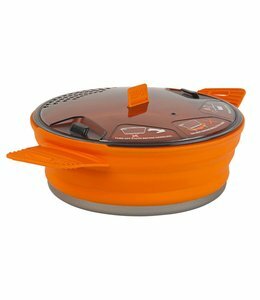 The Ceramic Pot is lightweight and versatile for backpacking and camping with a non-stick, scratch-resistant coating. 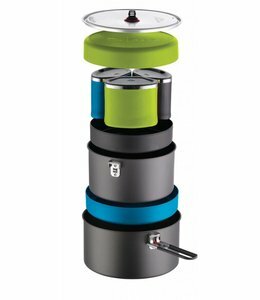 You might want one for your home kitchen! 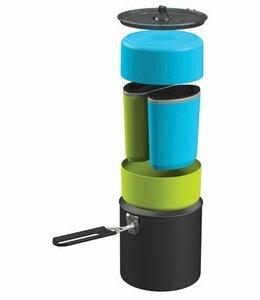 The Flex 3 System includes mugs, plates, and pots for 3.